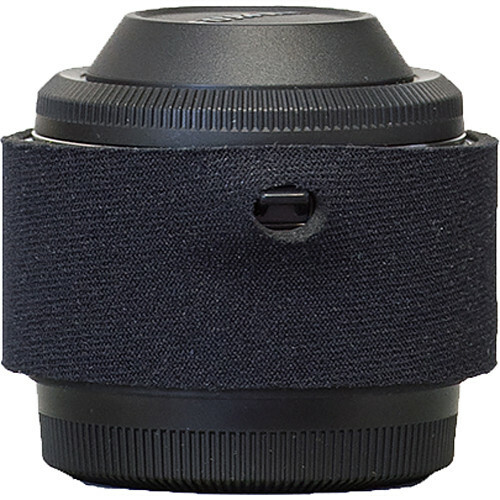 The black Lens Cover for Fuji XF 2x Teleconverter from LensCoat is a waterproof neoprene cover that protects your teleconverter from scrapes and bumps; helping to preserve its resale value. The lens cover provides a thermal barrier during cold weather, and breaks up the shape of your lens, making it less visible to wildlife. For ease of use, there's an opening for the lens release lever. This lens cover is made in the USA. Box Dimensions (LxWxH) 8.9 x 5.2 x 0.7"